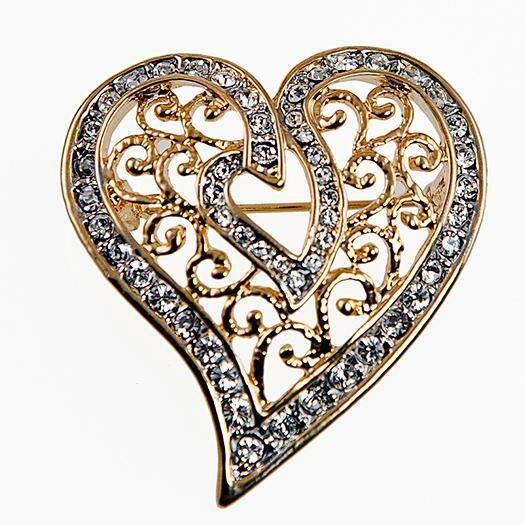 Filigree Two Tone (Silver and Gold) Heart Pin accented with over 40 Austrian Crystals. 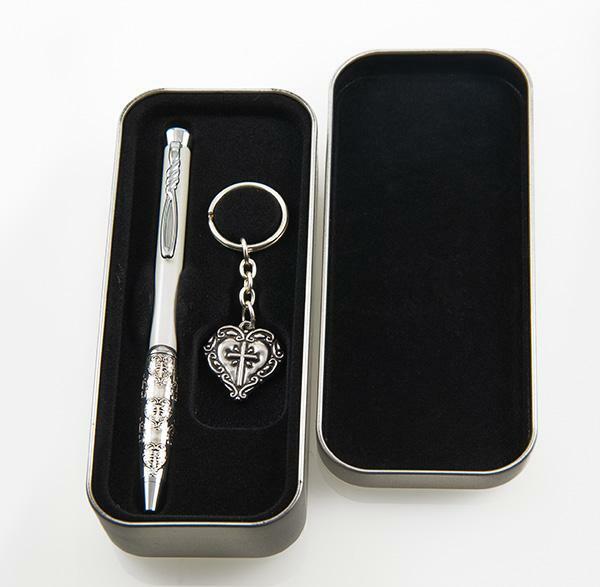 Pin measures one and a quarter inches by one and a half inches tall. Lead Free.